Duke Johnson Jr. "would rather play wideout" than running back for the Cleveland Browns. 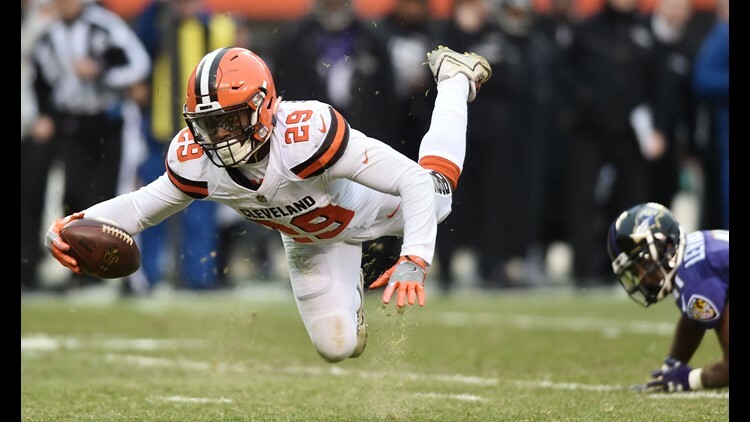 BEREA, Ohio -- Since the Cleveland Browns selected running back Duke Johnson Jr. out of the University of Miami (Florida) in the third round of the 2015 NFL Draft, his greatest contributions have come from catching the ball out of the backfield. After leading the team in receptions and receiving yards during the 2017 season, Johnson Jr. has spent individual practice time working with both position groups, and said prior to Monday’s on-field work that he would welcome a position change from running back to receiver. In three years out of Miami, Johnson has rushed for 1,085 yards and five touchdowns on 259 carries, as well as turned 188 catches into 1,741 yards and five scores, and enters the 2018 season on the heels of a career year last fall. Despite the Browns finishing with an 0-16 record in 2017, Johnson rushed for 348 yards and a career-best four touchdowns along with 26 first downs. Additionally, Johnson caught 74 passes for 693 yards, three touchdowns and nine 20-yard passes. All of Johnson’s receiving statistics from 2017 were single-season career bests and the catches and receiving yards were the most on the team. 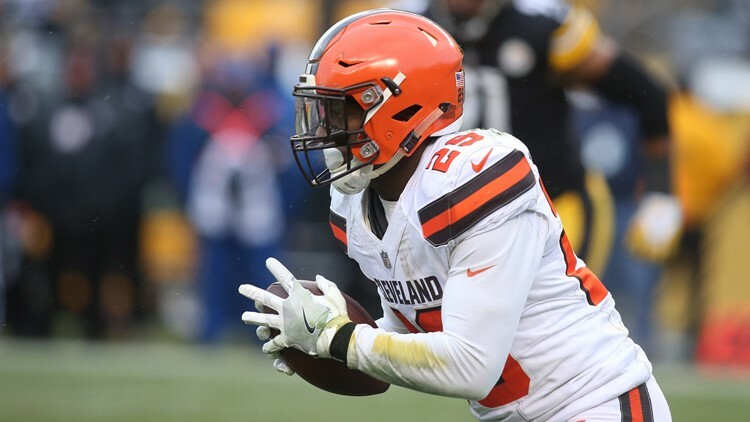 Cleveland Browns running back Duke Johnson (29) runs the ball against the Pittsburgh Steelers during the fourth quarter at Heinz Field in Pittsburgh, Pennsylvania. The Browns made a trade late Sunday night that could conceivably open up more playing time for Johnson Jr., as they dealt their first-round pick in the 2015 NFL Draft, wide receiver Corey Coleman, to the Buffalo Bills for a seventh-round pick in the 2020 NFL Draft. “I think it’s something he can do,” wide receiver Jarvis Landry said. “He comes out here every day, you guys see it, when we break off into running routes, he comes and runs routes with the receivers as well, and he has really great hands. Cleveland Browns running back Duke Johnson (29) makes a leaping catch during the second half against the Baltimore Ravens at FirstEnergy Stadium in Cleveland. Although Johnson Jr. has been working with both position groups in practice, he admitted to “learning on my own” and not meeting with the receivers. However, during that self-study, Johnson Jr. has learned how to run better routes and to create space from defenders. “I’ve been working on it for a while now,” Johnson Jr. said. “Some are harder than others, but for the most part, I can do most of the things.